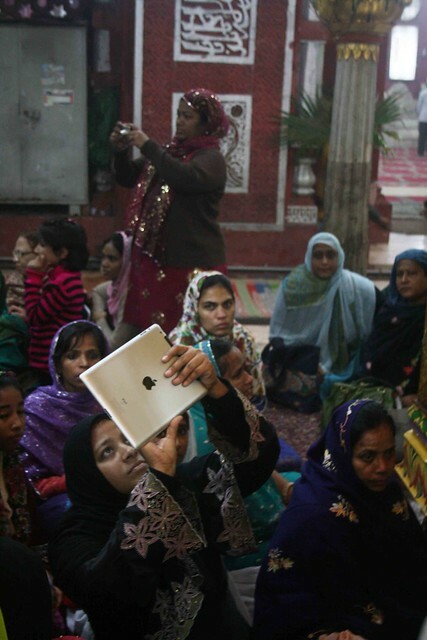 One cold evening The Delhi Walla saw a burqa-clad woman in the dargah of Hazrat Nizamuddin Auliya, the 14th century Sufi saint. The shrine is in central Delhi. Women are not allowed inside. 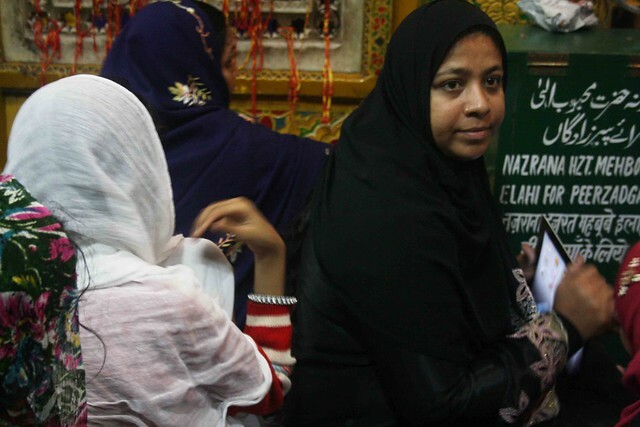 Unlike men, the burqa-clad woman could not step into the chamber to bow her head at the saint’s tomb. 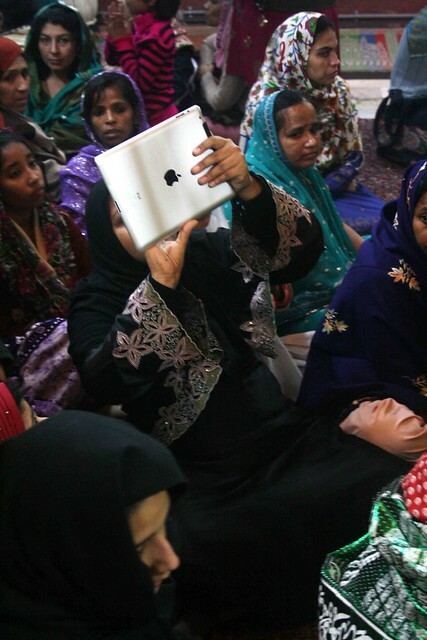 However, she was trying to take its photo through her iPad’s still camera. 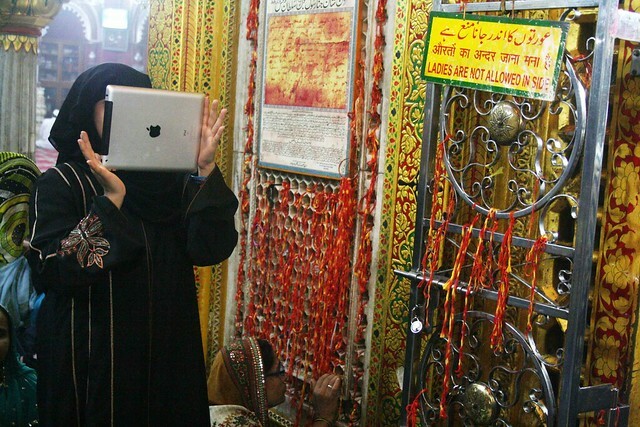 Positioning the tablet towards the door, she was moving it around to get a clear view of the Sufi’s grave, draped in colorful sheets and red roses. Engrossed in the task, now her mouth was open, now it closed, now it opened again. 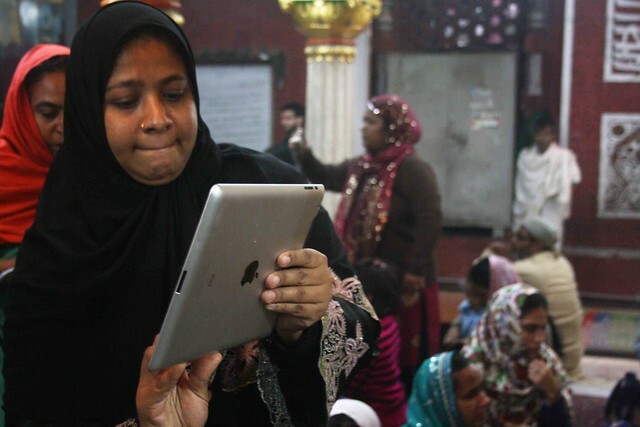 Just as she was about to click, a man stepped in; the tomb’s view was blocked. Finally, a time arrived when all men seemed to have disappeared. The tomb surrendered itself to the woman. She clicked on her iPad. It was a beautiful moment. 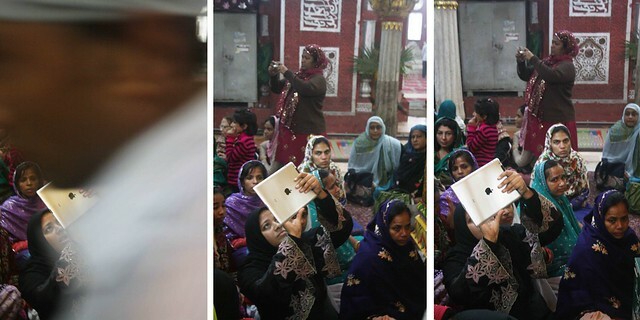 women not allowed in orthodoxy…yet she has clearly bridged the 21st century digital divide… priceless….